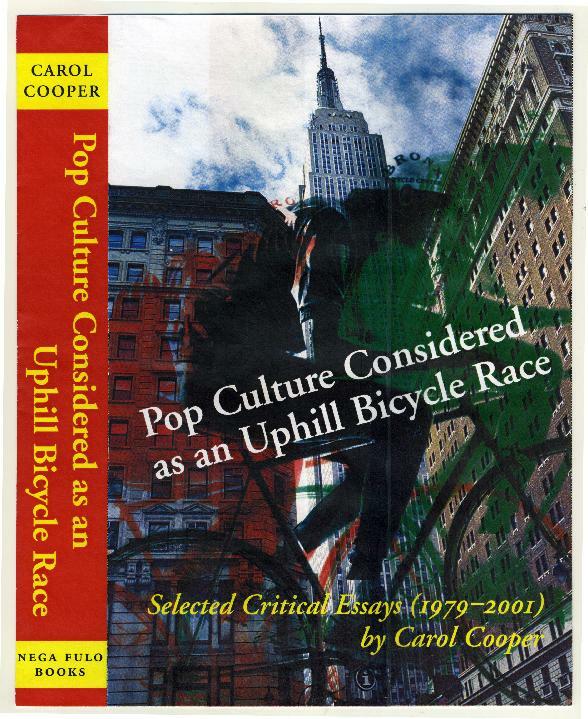 We are pleased to announce the fall release of Pop Culture Considered as an Uphill Bicycle Race, the first collection of essays about contemporary music, art, film, literature, television, and nightlife trends by Harlem-based cultural critic Carol Cooper. For the focus of this book Cooper has chosen stories that first appeared in various British and American publications during the last 20 years of the 20th Century. 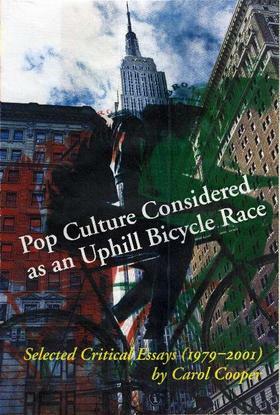 As one of the few pop journalists then allowed to write regularly about emerging trends in world music, ethnic films, and underground genre literature, she was often first on the mainstream scene to offer opinions about subsequently influential artists from Spike Lee and Sade, to sf-author M. John Harrison to graphic novelist Dave Mack. A partial list of the commercial outlets which have featured her work includes: Elle; Essence; Wired; The Village Voice; Billboard; International Musician; Spin; Latin N.Y; Black Music and Jazz Review; and The New York Times. Jim Farber, music critic for the New York Daily News, writes of this collection: "Few pop culture critics understand the complexities and ramifications of race, class, gender, commerce and pleasure with the command of Carol Cooper. Her prose is lucid, her understanding vast. Reading her essays brings to life key periods in modern culture and casts them in a light all her own." Joe Levy, editor of Rolling Stone magazine, wrote: "Where other writers cannot see even one dimension, Carol Cooper sees many. She takes on complex issues -- race, politics, gender, spirituality -- with clear, precise language, a rare skill that packs this collection with thrills and revelations."